Rick Kellis is currently a graduate student at California State University at Northridge and will obtain his long-sought M.A. in the Psychology of Music (Systematic Musicology) at the end of this fall 2009 semester. His area of interest lies in establishing and promoting natural consonance, achievable through the use of a natural tuning system based on the Natural Law of Consonance. The goal is to gain control over the consonance-dissonance continuum so as to produce music at a new level of excellence for the musical performer and the music listener to experience. Reaching this level of consonant, "together" music has been made possible with all the advances in audio technology. 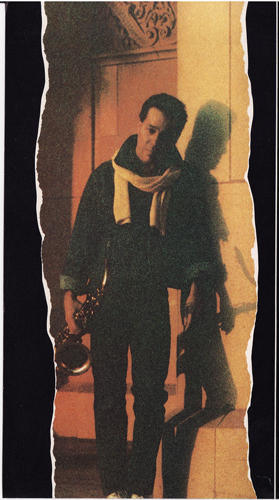 After attending the Philadelphia Conservatory of Music, Rutgers University, and Temple University Psychology graduate school, the music side of Rick took over, and for the next 35 years he worked in various positions in the business -- from arranger-conductor and music director for such road acts as Tina Turner, to keyboard technician/saxophonist for Gino Vanelli; from synthesizer programmer and piano tuner through MIDI programmer for JVC, Roland, and Yamaha, achieving a couple of Platinum Awards for vocal arrangements along with David Foster, on into media composer/DAW programmer (Pro Tools/Cubase/Logic Pro) in his home studio. Rick is using his newly-developed Consonics method in composing for film, which involves producing multi-layered "soundscapes". Also underway is a saxophone/flute recording project - a tribute to jazz greats and some of his own compositions - using Consonics, of course. For most of the decade, after working his way down from theology and metaphysics, Rick has been delving into the lowest rung of philosophy - politics - in recognition of the need to return to basics across a wide spectrum of activities, including the re-establishment of the principles contained in America's basic documents, such as the Declaration of Independence and Constitution.